Essential plot rundown: After being pumped full of steroids, Captain American must stop the Red Skull and his Hydra forces. So this was the last stand alone film to be released before The Avengers came out. And I would have to say that I'm not a big Captain America fan. Out of the five films, this was probably the worst. The biggest problem was probably that it wasn't what I expected. I know nothing about Captain America and his history. What I was expecting was a war movie, but what I got was a comic book movie. (Oddly enough). With all the laser guns and the enemy in identical, goofy costumes, I felt like I was watching a GI Joe movie or something. I was wanting to see battles and war but saw SFX instead. But other than that, there's not really anything wrong with the movie. There are a few places where the SFX weren't up to par, but that's about it. Ok, that's not all. The way Cap picks his men is dumb. He doesn't know any of them and doesn't have any reason to choose them over anybody else. And the ending didn't fall right with me. He does something drastic when it seems that there different, less drastic options to choose from. The story is good enough. 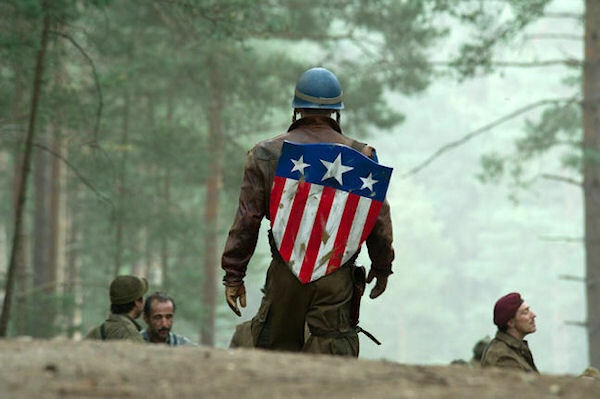 I thought Cap's costume looked real; they did a good job translating it from a comic setting into the real world. I thought all of the actors gave believable performances. 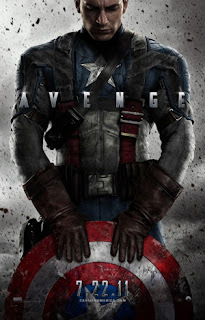 Chris Evans was Captain America; he wielded the shield nicely. Tommy Lee Jones and Stanley Tucci also were great in their supporting roles. There's nothing really wrong with this film. I'm just not that into Captain America. It's worth checking out, but I don't think it is nearly as good as Iron Man or Thor.